Following the U.S. withdrawal from the Trans-Pacific Partnership, the path forward for strengthening U.S.-Japan economic relations became less clear. 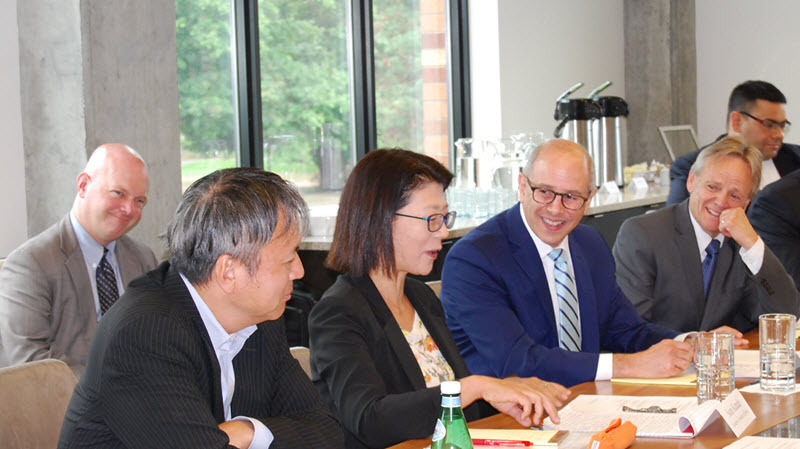 On September 11, 2018, NBR convened a full-day workshop in Seattle to explore options for increasing economic growth, trade, and investment between the two allies and jointly addressing Chinese economic policies. U.S.-Japan Strategic Coordination: Can the Two Allies Partner to Counter China’s Economic Policies? Thank you to our sponsor, the Ministry of Foreign Affairs of Japan, for making this workshop possible with their generous support. 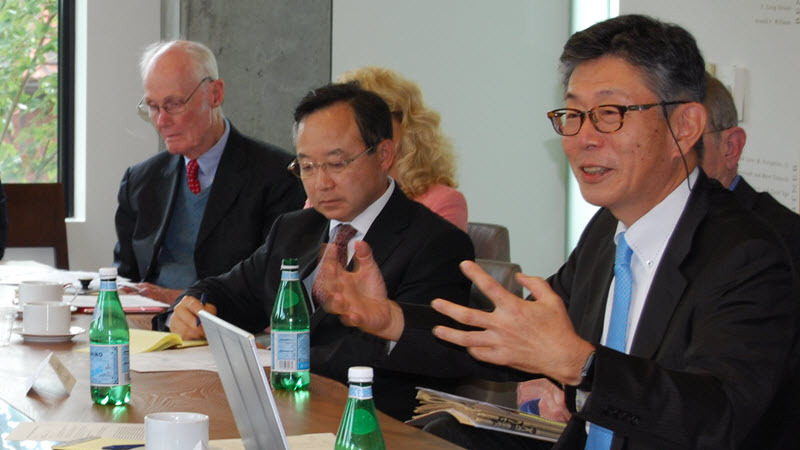 Panelist Saori Katada (University of Southern California) speaks to roundtable participants on U.S. and Japanese economic statecraft. 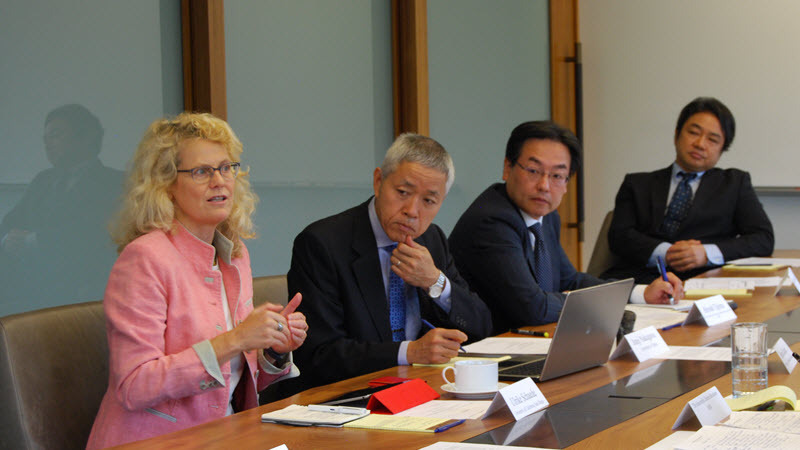 Panelist Ulrike Schaede (University of California, San Diego) discusses how the private sector is leading the way in growing U.S.-Japan trade and economic partnerships. Panelist Toshiya Tsugami (Tsugami Workshop) shares his views on China’s Made in China 2025 plan. Participants mingle at a post-workshop reception. 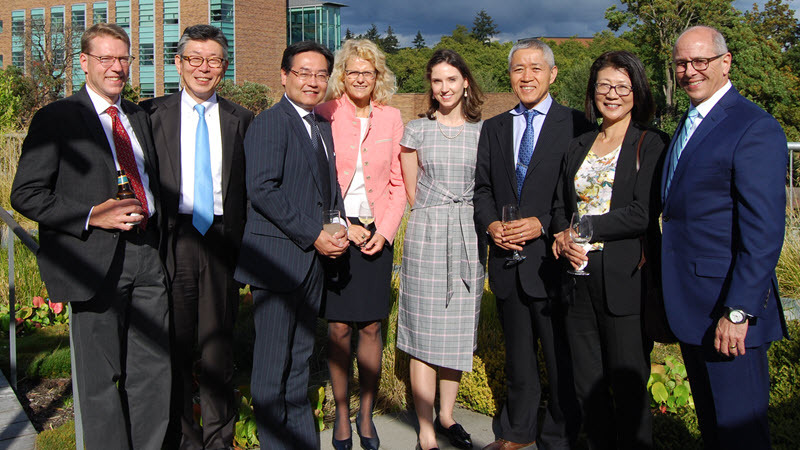 Left to right: Michael Wills (NBR), Toshiya Tsugami (Tsugami Workshop), Hiroshi Tajima (Ministry of Foreign Affairs, Japan), Ulrike Schaede (University of California, San Diego), Ashley Dutta (NBR), Junji Nakagawa (University of Tokyo), Saori Katada (University of Southern California), and Charles Boustany (NBR).